For the first time in months, I was home and enjoying the company of my cats on a Friday evening while I prepared for the British Special Needs Judo Championships. As my first special needs competition, I was unsure what to expect but I knew that I would be the only amputee competing and was very excited at the prospect of meeting other adaptive athletes. I am not allowed to wear a prosthetic to compete so it's always interesting to see me hop around the mat trying to throw people. A few days before the event, I was weighing in at about 75kg and was conscious that I needed to drop my weight to <73kg to ensure that I competed against lower-weighted individuals. This is generally quite easy to do within a few days as you simply cut down on your food and drink intake. By dehydrating yourself, you drop your 'water weight' and are able to compete in a lower weight class - I was still very nervous to see if I was going to get to the right weight in time. On the morning of the competition, I left the house at 6:00am to then pick up my mother for us to travel to Stoke Mandeville Stadium to compete. My mum has never seen me compete before so it was an exciting prospect for the two of us. We arrived in plenty of time for the 8:30am weigh-in but unfortunately, I didn't quite get down to the right weight and weighed-in at 73.5kg. Fortunately, my exact weight didn't matter too much as the other competitors were either >75kg or <66kg. This meant that I was then the lightest competitor against heavier individuals. Thankful that I didn't have to worry about my weight any more, I rushed over to the canteen to grab some breakfast to get ready to start competing. My nerves can be quite intense during competitions however I managed to keep them toned down this weekend - great progress. The first fight was called and it must have only lasted a few seconds as I was quickly called onto the mat for my first fight. My first fight was against a visually impaired (VI) chap who was 6ft tall and over 80kg - this was my favourite and most fair fight of the competition. With VI judo, competitors start with a grip and when the referee calls 'Hajime,' we then proceed to fight. As the rules for special needs competitions really restrict what I am able to do, it took me a while to get in the swing of things. 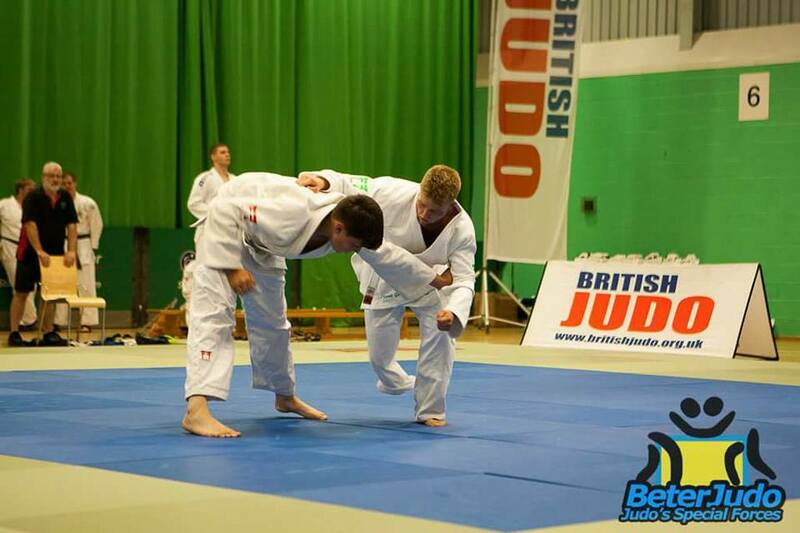 Fortunately, I adapted quickly and threw my opponent for ippon (a good throw which resulted in an immediate win). My second and third fights were with individuals with unknown impairments. Generally speaking, special needs judo is mostly for individuals with an intellectual impairment but I would never want to assume anybody's impairment. My second fight ended very well with a win - I was very upset as my camerawoman (my mum) unfortunately didn't get the throw on video but it was a great ippon throw (if I say so myself). My final fight was the one fight that I lost and it was against a chap with mild autism who clearly has a lot of experience competing. He won his first and second fights within the first 20 seconds but I was very proud that I lasted the longest out of his other fights. Overall, I was very pleased with my performance and after the competition, I was invited to three competitions in Holland, which I hope to be participating in and representing my country. I would still like to see other amputees doing judo and if you would like to get involved, please contact me. 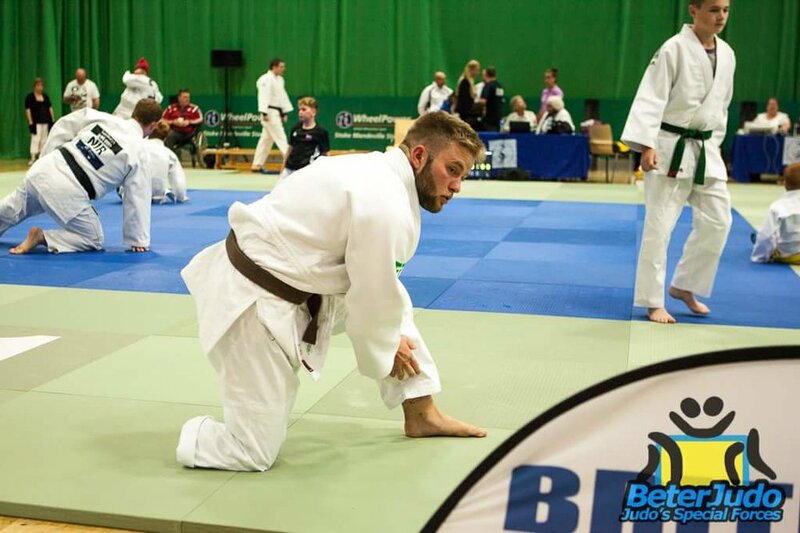 I am hoping that I will be ready for my next Judo competition quite soon after my next operation and I will be working hard to ensure that I can go to Holland in November to compete. Thank you for all of the support of my followers and sponsors - I'll see you all on the mat! To see the video from my event, please click HERE.